Permission to use Photograph taken at our meetups and other Hackerspace LA activities. By joining our meetups, you agree to grant Hackerspace LA, its representatives and employees the right to take photographs of me and my property in connection with any meetup and activities sponsored by Hackerspace LA. 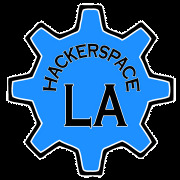 I authorize Hackerspace LA, its assigns and transferees to copyright, use and publish the same in print and/or electronically. I agree that Hackerspace LA may use such photographs of me with or without my name and for any lawful purpose, including for example such purposes as publicity, illustration, advertising, and Web content. Photographs Use Consent April 25, 2016 9:42 AM Jorge C.
About Los Angeles Hackerspace April 25, 2016 9:59 AM Jorge C.